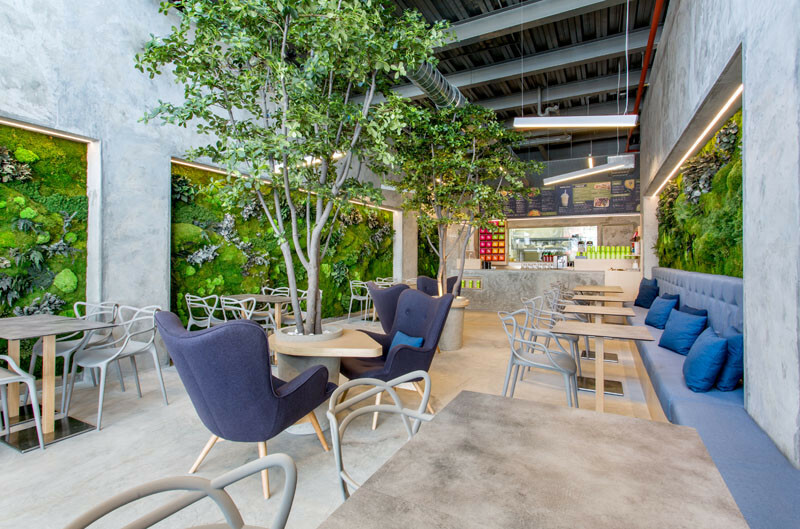 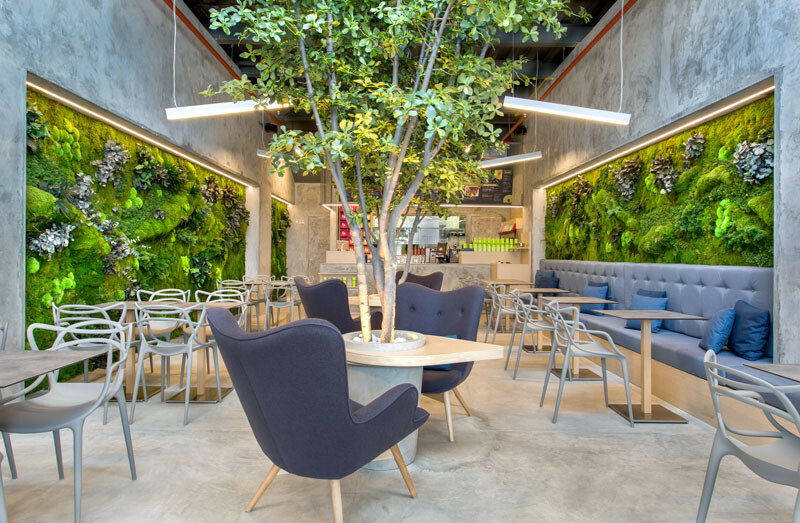 T.Bar is a fast food restaurant in Panama that focuses on natural healthy food, and to reflect that dos G architects designed an interior filled with so much plant life and greenery that it feels like you’re dining in a park. 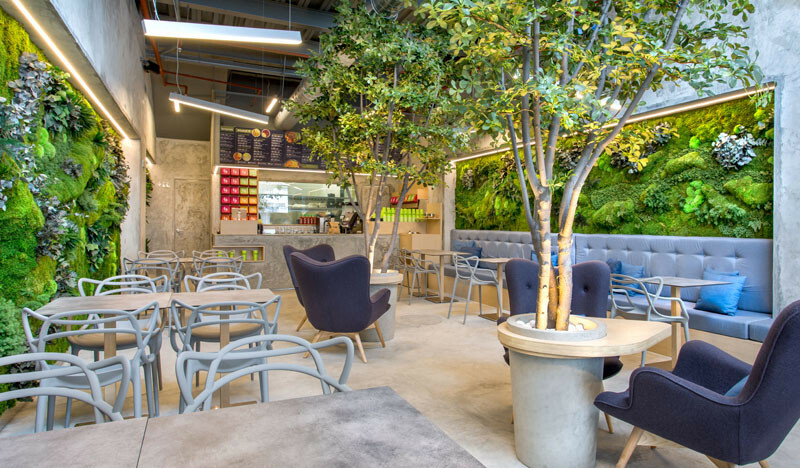 When creating the space, the designers were inspired by the inner courtyards that are so common in the old quarters of Europe. 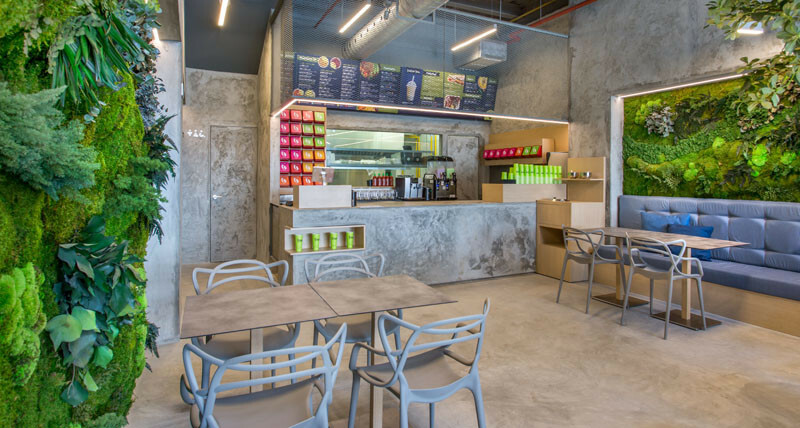 All of the wall and floors in the space have been made with polished concrete. 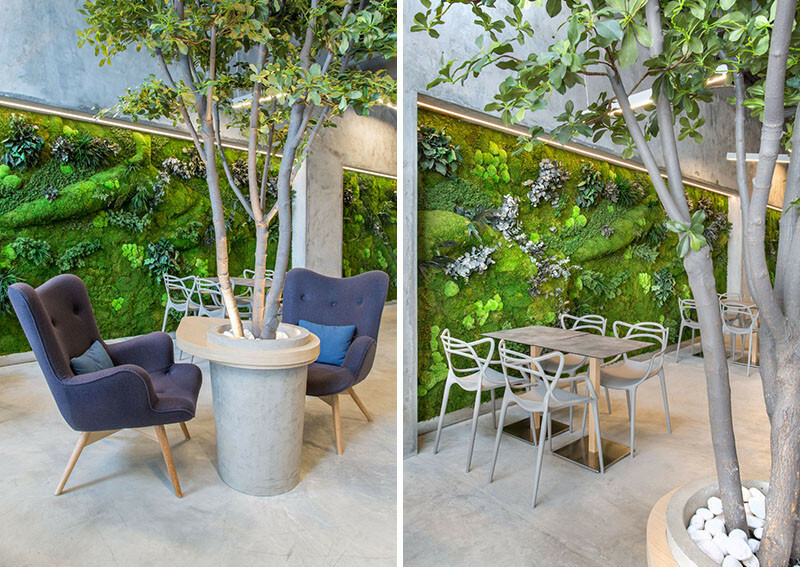 To emphasize the importance of the trees as the central elements of the project, the designers created a concrete plant pot with a small table creating a more informal space. 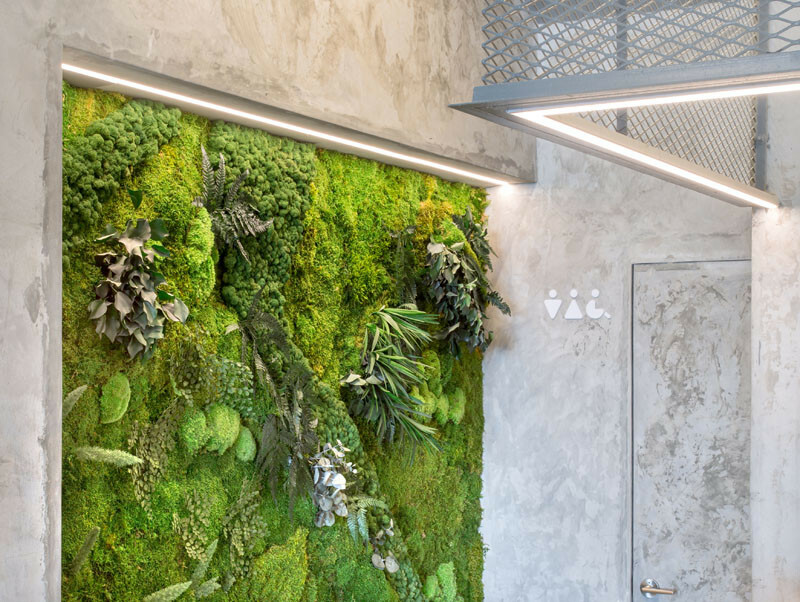 To add even more natural touches to the space, the designers included green walls, filled with moss and lichen.